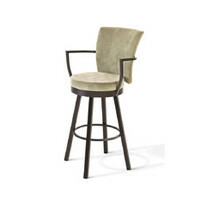 Amisco • Cardin Upholstered Swivel Stool w/ Back and Arms - Ships Free! 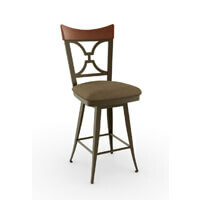 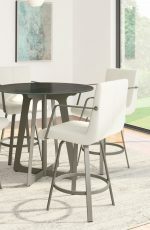 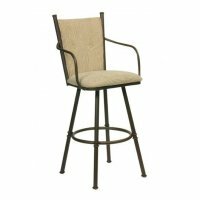 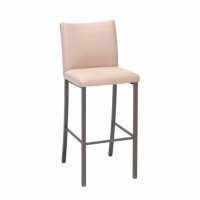 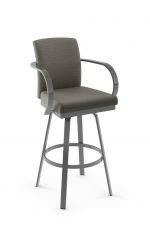 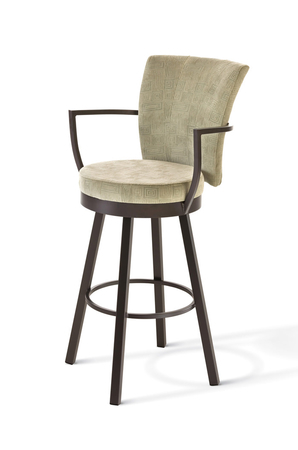 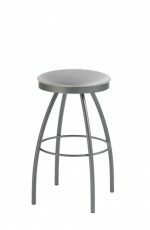 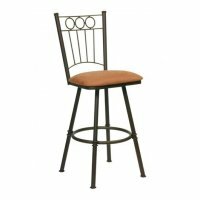 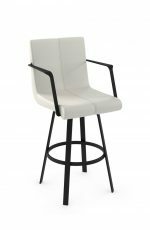 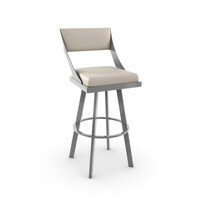 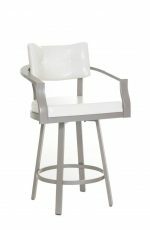 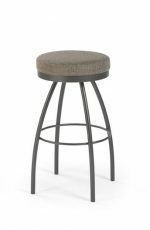 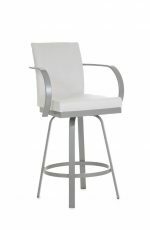 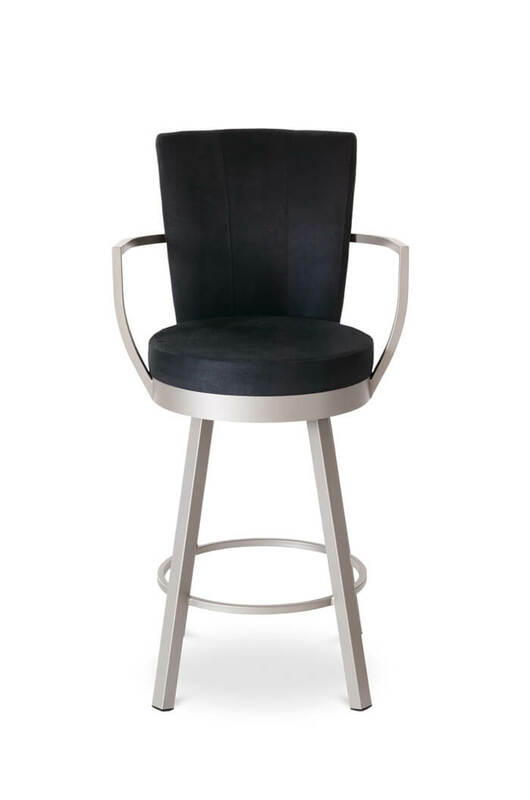 One of our top sellers from Amisco, the Cardin Swivel Stool delivers stylish function from top to bottom. 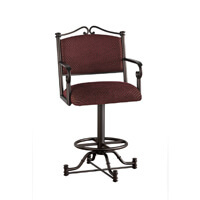 The slight angle on the back prevent that stiff feeling after sitting too long. 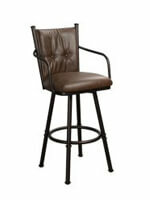 And the arms are ready when you need them, supporting you when you get in and out of the stool or while reading your favorite book. 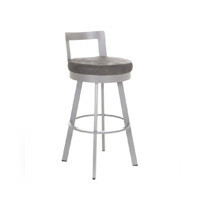 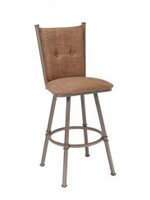 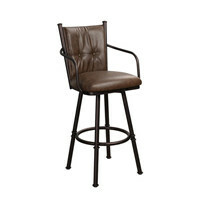 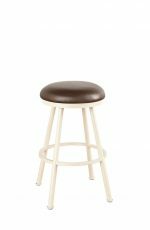 Please note: this stool is not available in the following coverings: GO Motley or GP Overlay. 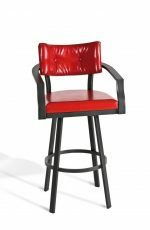 "Great quality, assembly went well and very friendly customer service." 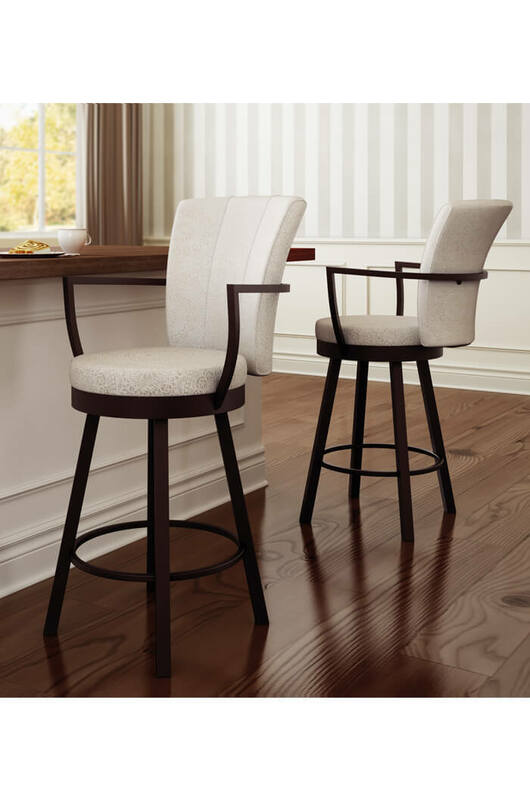 "We love our new barstools. Very comfortable and we really like the way they look in our kitchen."